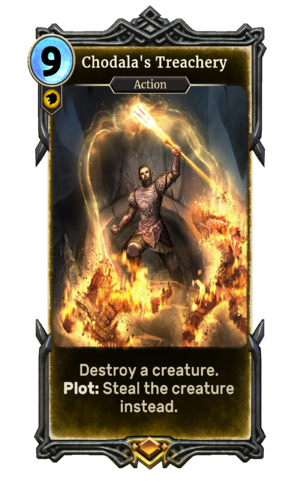 Chodala's Treachery is a legendary Willpower action card. It is part of the Houses of Morrowind expansion. This card depicts Chodala holding Sunna'rah, who appeared in Morrowind and Online and is also depicted on the card False Incarnate.